Paul Francis “Butch” Wiese, 70, of Chateaugay, N.Y., passed away on Monday, July 2, 2018, at his home. Paul was born in Potsdam, N.Y., on Oct. 2, 1947, the son of William G.H. and Genevieve (Amo) Wiese. 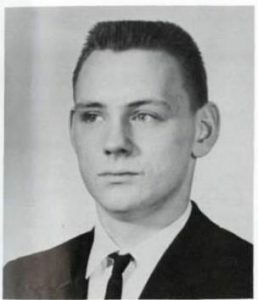 He attended Knox Memorial Central School in Russell, N.Y., graduating in 1965. He went on to earn a Bachelor of Science degree with a certification in Health and Physical Education from SUNY Brockport and completed several graduate courses at St. Lawrence University. On Dec. 17, 1977, Paul was united in marriage to Sharon L. Cardinell at Sacred Heart Church in Edwards, N.Y., with Father Charles Richards officiating. He is survived by his wife, Sharon; two daughters and their husbands, Paula and Scott LaPlant of Asheboro, N.C., and Shannon and Matthew McArdle of Malone, N.Y.; two brothers and one sister-in-law, William of Moira, N.Y., and Robert (Tim) and Janet of McLean, N.Y. He was blessed with 6 grandchildren: Lauren, Nicholas and Parker LaPlant and Keegan, Logan and Raegan McArdle, along with several nieces and nephews. He was predeceased by his parents and his sisters, Janet Bullock and Karen Fuller. Paul was a dedicated educator. He began his 35 year teaching career at Harrisville Central School. In his short tenure he was able to positively impact the boys basketball program and help establish Harrisville as a perennial sectional winner. He went on to join the staff of Northern Adirondack Central School in Ellenburg, N.Y., where he spent the remainder of his career. There, he contributed to the school community by maintaining high expectations in the classroom and striving for excellence on the field and court. Additionally, he served in many leadership roles over the years, working side by side with many colleagues and friends. Paul also dedicated much of his time to his community. In his younger years he spent many summers coaching basketball at local camps including SUNY Canton and St. Lawrence University. Shortly after moving to Chateaugay, he became the director of the Chateaugay Rec Park, a position he loved for nearly 30 years. Generations of Chateaugay youth benefitted from his time and talent; learning to swim, playing competitive pickup basketball, and learning to “clean up” with the aid of his whistle and beloved bullhorn. Paul was a longtime member of the Chateaugay Fire Department. He loved watching his daughters play sports, especially basketball, both for Chateaugay Central School and later St. Lawrence University. He was an ardent New York Giants football fan, staying faithful through whatever each season held. Lastly, he loved reading the local newspapers and the challenge of the daily crossword puzzles. Please join the family for calling hours on Friday, July 13, from 10 a.m. to 12:30 p.m. at the Chateaugay Funeral Home. A Mass of Christian burial will be celebrated immediately following, at 1 p.m., at St. Patrick’s Catholic Church. Burial will take place at St. Patrick’s Cemetery in Chateaugay, N.Y. In lieu of flowers, donations in Paul’s memory are greatly appreciated. These may be made to the Knox Memorial Alumni Association or the Chateaugay Rescue Company: KMAA, PO Box 528, Russell, NY 13684 and Chateaugay Rescue Co., PO Box 911, Chateaugay, NY 12920.